I received my order of Bob’s Red Mill 1 to 1 Gluten Free Flour. So far I’ve made just one loaf of bread, using my favorite brown bread recipe. 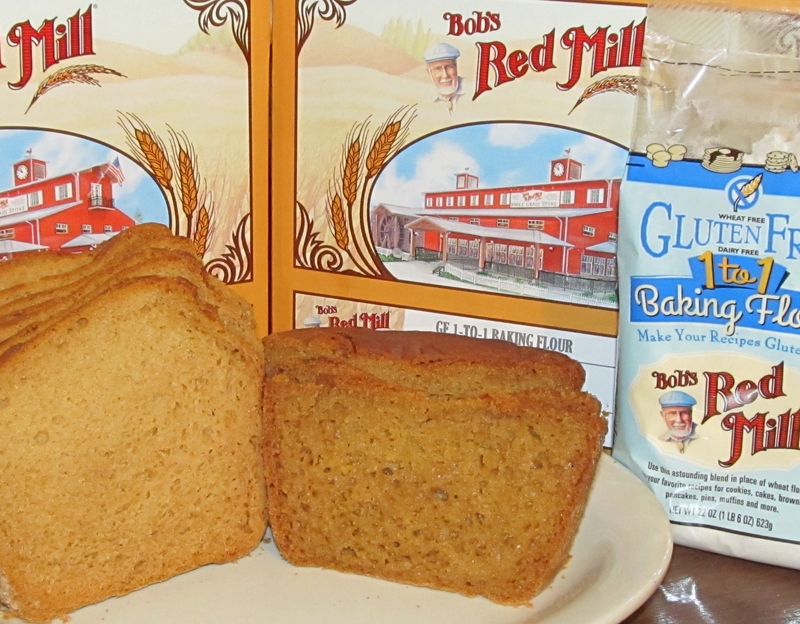 The Bob’s Red Mill, loaf is on the right. The one on the left, I made with Tom Sawyer GF and Betty Crocker GF Flours mixed 1/2 and 1/2 as I usually do. Both were made with the same amount of flour, and leavening. The same process, everything. The texture is fine, it’s not crumbling, but it did not rise, and it does have that dreaded hole in the center, it’s just lacking something. It did not exchange 1 to 1 in this recipe. I will keep working on it, and when I get it down I’ll post the winning recipe!